What are the features of Inconel 625 Ferrule Fittings? Inconel 625 Ferrule Fittings is very popular among people because it has remarkable protection against oxidation and corrosion. It is corrosion cracking resistance and has excellent fatigue strength. These fittings have outstanding toughness and strength. 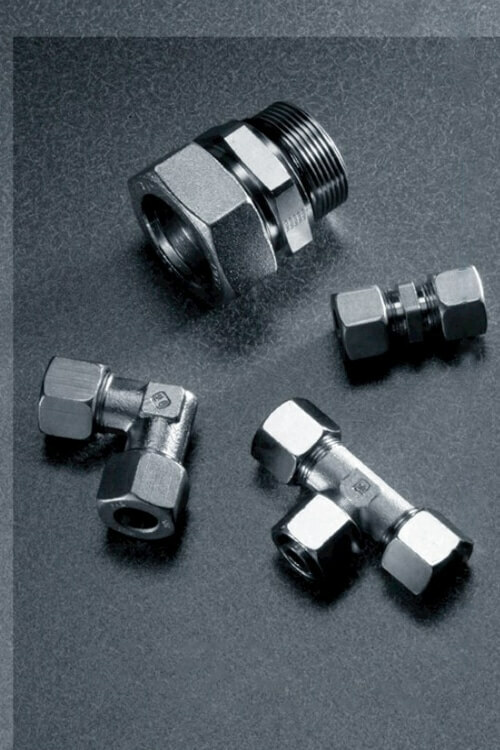 These fittings are made from the combination of materials such as steel, alloy, molybdenum and much more. There are so many processes are used to make it. It is long lasting because it is free from any type of leakage, holes and much more things. It is also free from carburization and rust. It is based on carbon and has mineral acids. It requires very high temperature as compared to other fittings. Inconel 625 Ferrule Fittings have to pass from lots of tests such as destructive tests, non destructive tests and much more. Destructive tests are micro test, hardness test, micro test, flaring test, pitting resistance test, chemical analysis, positive material identification and much more. Non destructive tests are Ultra Sonic test, impact test, radiography test, Eddy current testing, hydrogen induced cracking, Dye penetrant test and much more. The main thing about Inconel 625 Ferrule Fittings is that it is come in best packing. Good Packing is essential at the time of delivering fittings. Due to this reason it has best packing. It packs according to the product and customer requirements. The different ways, in which fittings are packed such as wooden pallets, shrink wrapped, wooden boxes, carton boxes and much more. It has all the marking details so customers can easily get information. Inconel Alloy 625 Female Run Tee, ASME SB366 Nickel Alloy 625 Nut Accessories Fitting, Grade 625 Inconel Blanking End, Inconel 625 ASTM B366 Female Elbow, JIS NCF 625 Inconel Reducer, DIN 2.4856 Union Cross Exporter, Inconel 625 Plug, Standard Size Inconel 625 Ferrule Fittings Supplier, Alloy 625 Tube Insert, Inconel 625 Tube Union, UNS N06625 Male Bulk Head Connector Manufactures in Mumbai India.